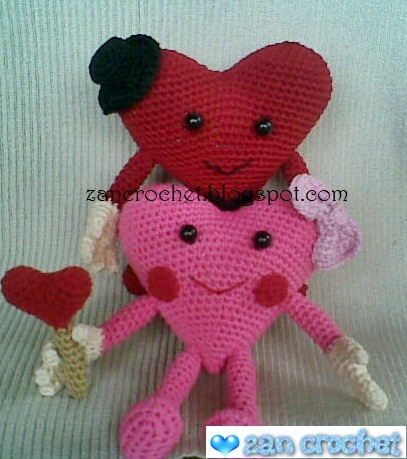 Free Amigurumi Pattern - I think this is the simplest amigurumi i can make for valentine gift. I love this couple. 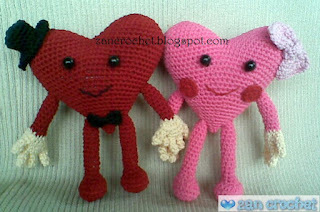 And it will be a cute gift for someone who I love. Note: Work in continuous round. 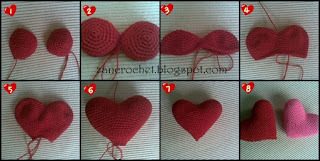 Repeat all steps for making Heart Girl. Change red color to pink. Don’t cut second side yarn..
Sew the gap between its sides. Don’t cut the 3rd finger yarn. 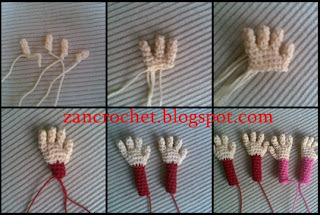 Repeat thumb, fingers and hand steps to make second hands. Sew this center in the middle of ribbon. Use black yarn for sewing his mouth. 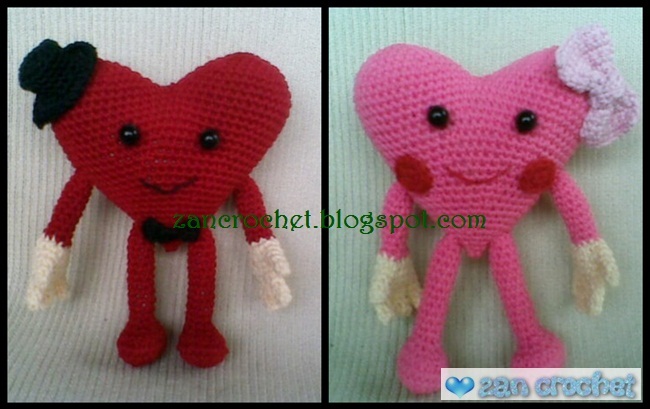 I use red yarn for heart girl. 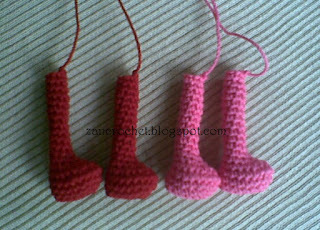 Sew legs at the bottom of heart. For heart girl, sew ribbon on the right side of heart and blushes on the right and left side of her mouth. And Congratulations, you’ve completed your Valentine Heart Couple. This pattern is made by me, Zan Merry. If you wish to share this pattern, you may link this pattern but please do not reprint it to your site or blog. Please leave a comment if you have a question about this pattern. They are delightful. I pinned your post so I can find it again as I am unable to crochet right now with a broken bone in my hand. thank you for sharing your pattern.